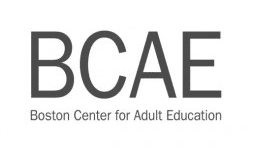 The Boston Center for Adult Education (BCAE) is kicking off September with $10 classes from Tuesday, September 3rd to Friday, September 6th, 2013. Not all classes are part of the $10 promotion, but there are a lot of $10 classes on the list and covers a wide variety of interests. You’ll know if a class is participating in the promotion since it will say Take for $10 in the title and then show as $10 for the price of the course. If you are interested in a particular class, you may want to book soon. I noticed two classes that I was interested in (French Wines & Cheeses and Craft Beer) were already filled and running on a waiting list. However, there are so many classes to choose from too! For more information or to find a $10 class, please head here. $10 Classes at the Boston Center for Adult Education from January 2-4, 2013! Is your New Year’s resolution to learn new activities while saving money? Well you’re in luck, because the Boston Center for Adult Education is offering classes for just ten bucks from Wednesday, January 2, 2013 to Friday, January 4, 2013. Enjoy some new and delicious recipes, learn to knit, dance the salsa, and much more- for just $10. You can find out more information about these classes and more at the BCAE’s website here.